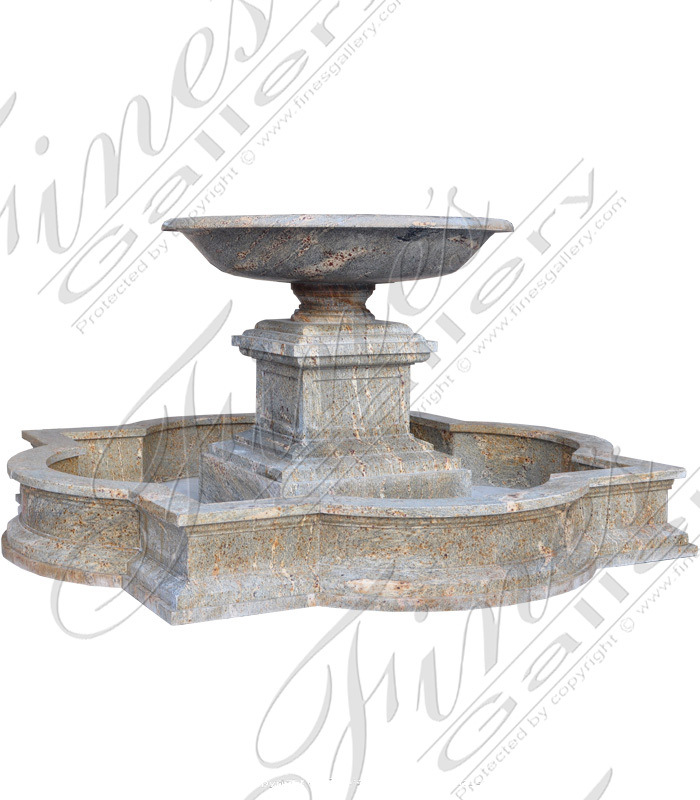 This classic one tier granite fountain is truely an elegant water fountain feature. The simplistic shape and form will provide the onlooker with a calming effect. Carved from an earth toned granite. 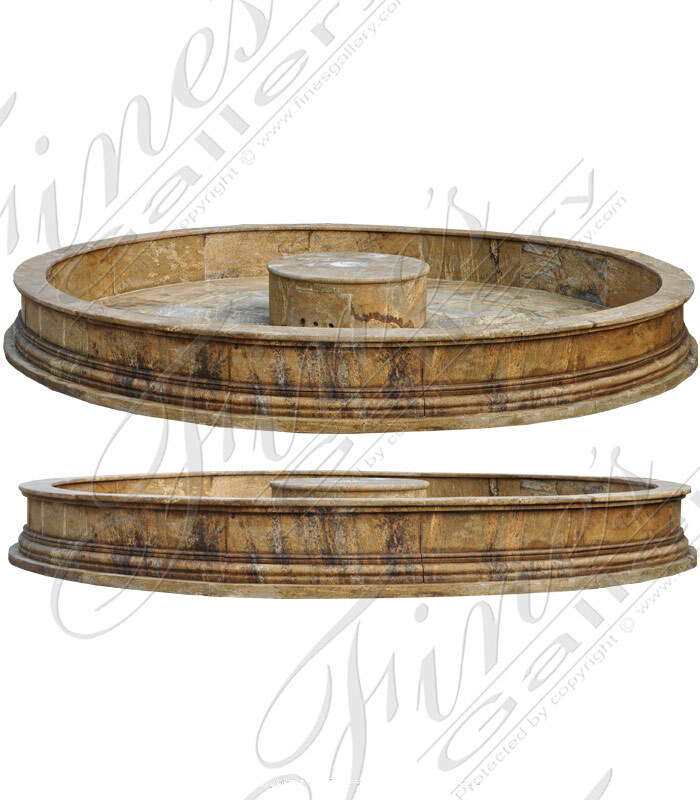 This Simple Three Tiered Fountain in Antique Marble is available as pictured or add a pool surround. Simple and clean lines for a more contemporary or transitional concept. Available in an array of natural stones including marble, granite or onyx! This enchanting Versailles Granite Garden Fountain is carved from solid earth toned antique gold granite. The perfect choice for northern located fountain features. Withstand the harshest winters with one of mother natures most durable natural stones. 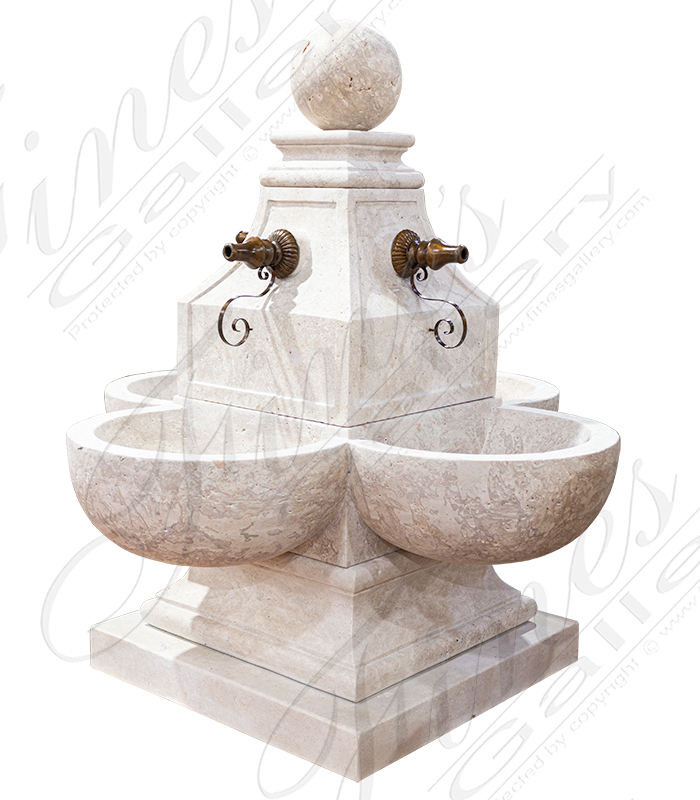 This fountain is carved from a breathtaking light cream marble. Very intricate carving detail is all done by hand! The water cascades down the grooved bowl. Install as shown with the water recirculating through the three tiers or add a pool! Huge White Marble Estate Fountain. 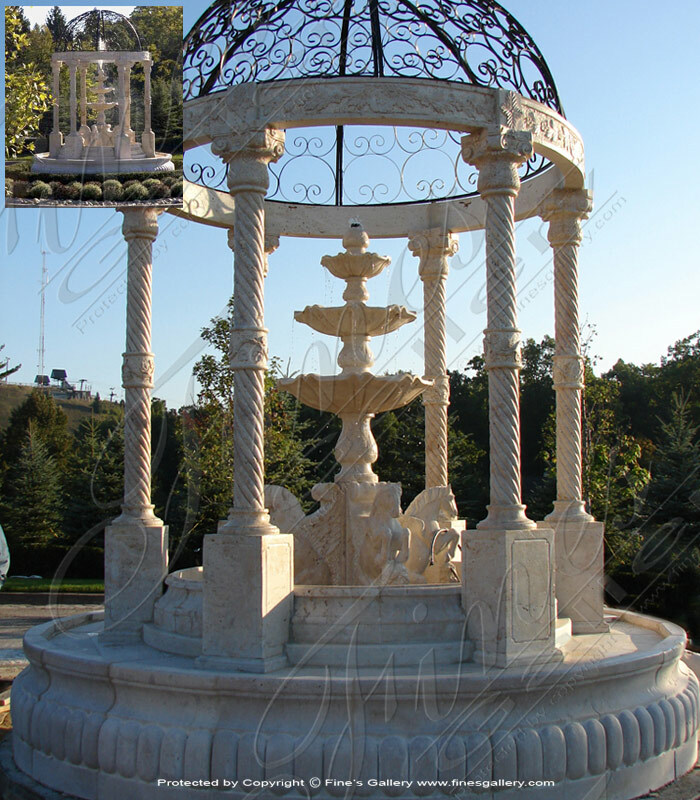 A very large european inspired outdoor natural stone fountain carved from pure white marble. Features include egg and dart detail and over sized scale. Available in earth toned granite and light beige travertine. 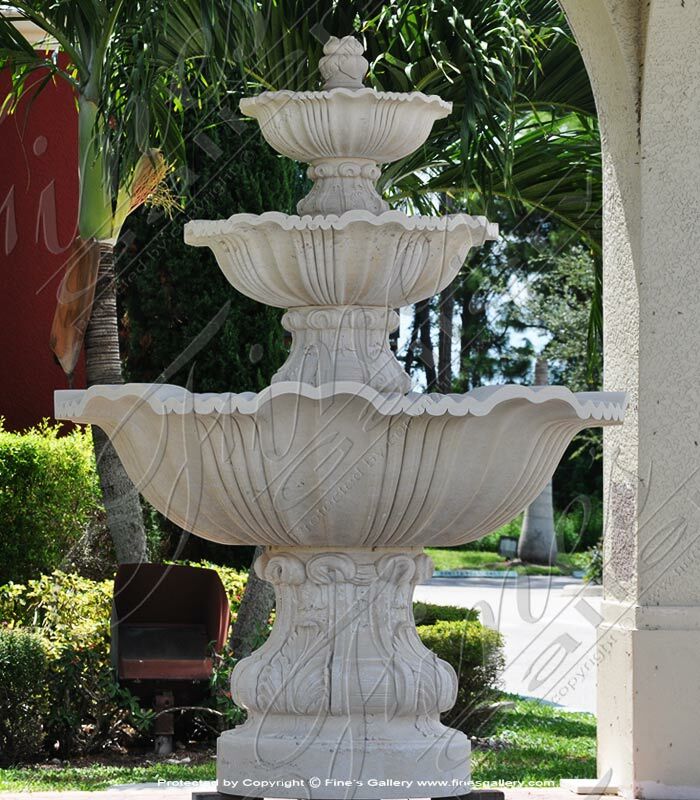 A stunning Large Outdoor Tiered Fountain in Antique Marble. Extremely ornate and deeply carved detailing throughout. This impressive architectural wonder was installed in commercial setting. 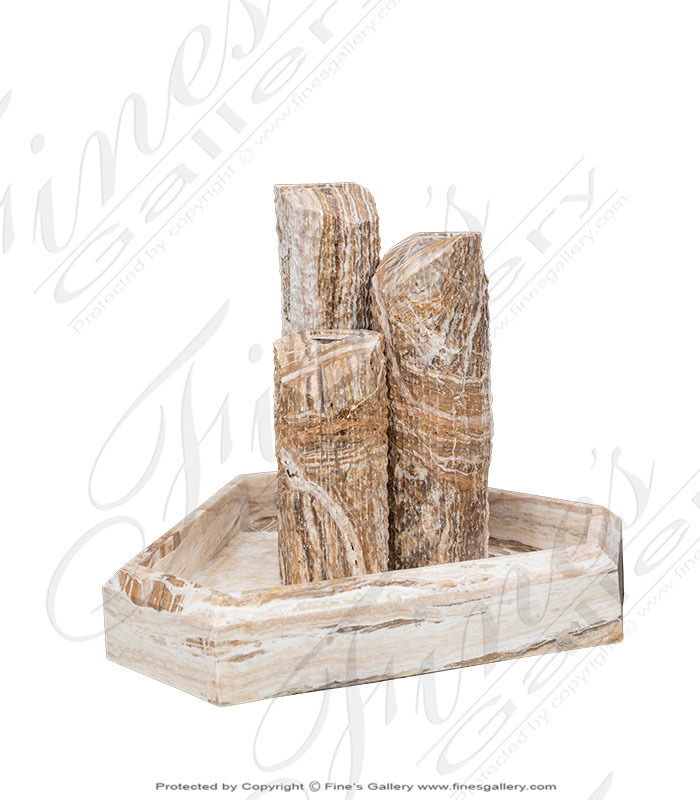 Highest quality natural stone fountain features. 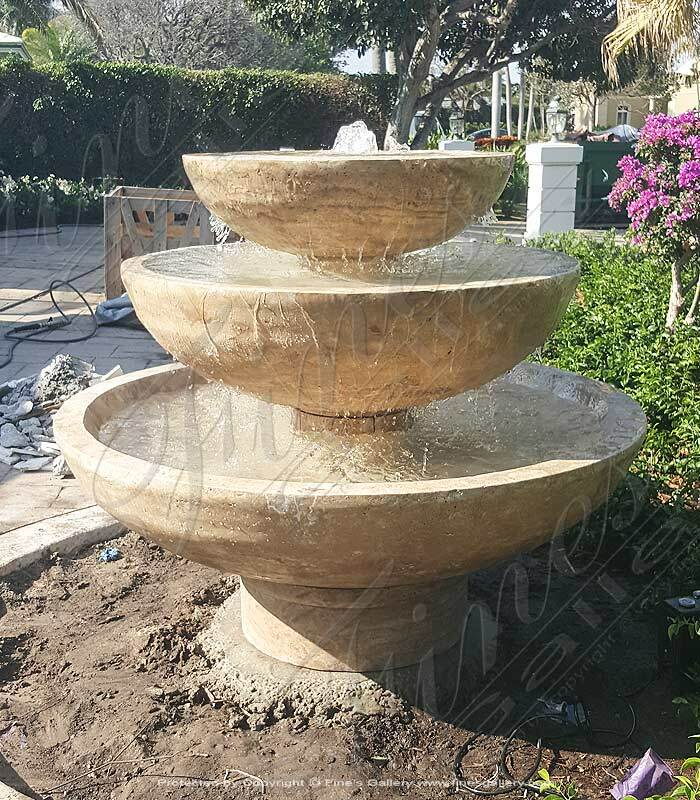 This impressive old world Extra Large Outdoor Fountain in Antique Marble includes three tiered fountain with rearing horses at the base, a complete gazebo structure all set up on a raised circular natural marble bed. Available in granite. Contemporary Fountains in Natural Marble and Granite. 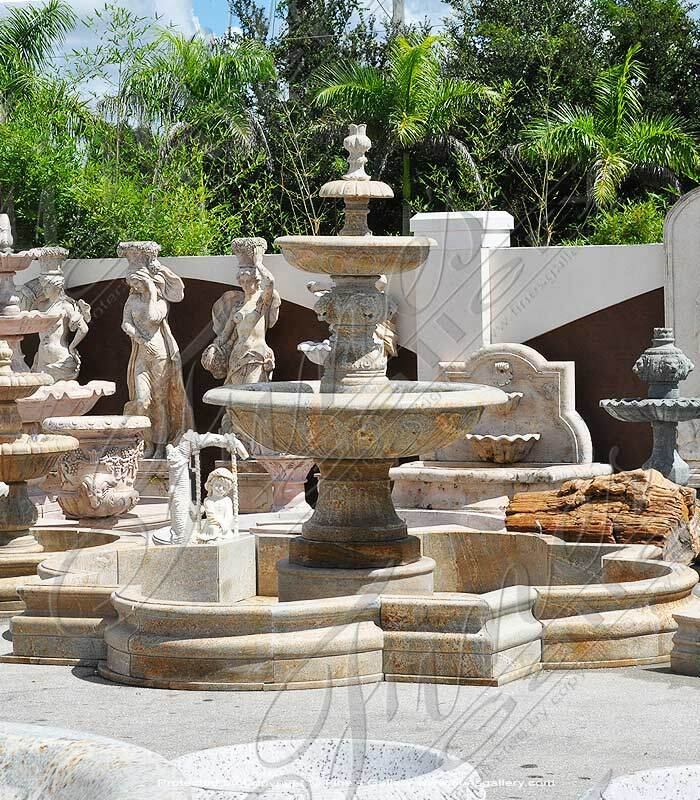 Our fountains are carved from natural stone, interior application in a commercial setting. Available in marble or granite, indoors or outdoors. A stunning Circular Solid Granite Pool Surround featuring rich earthy granite. This granite meshes perfectly in any environment paired perfectly with all kinds of brick pavers. Also pairs just right with the classic and patina bronze finishes we offer. 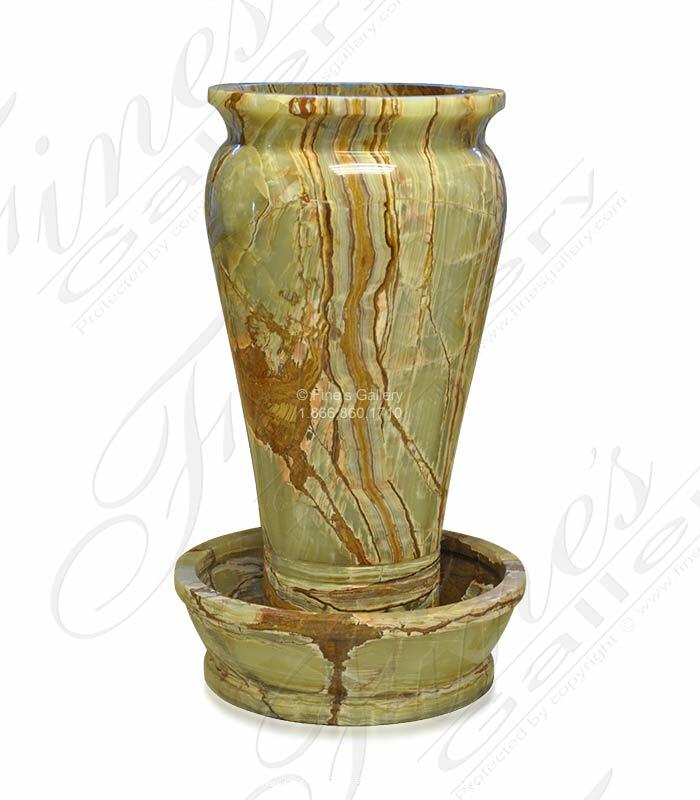 A Green Onyx Urn Fountain Feature highly polished finish. Add LED lights and add a contemporary water fountain to your transitional or modern application. 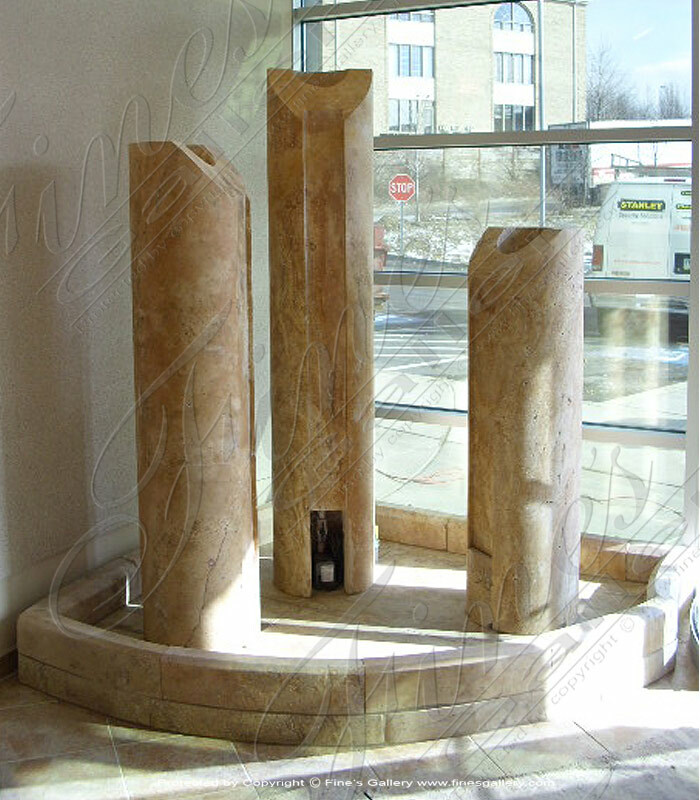 Our natural stone fountains are perfect for interior or exterior applications. 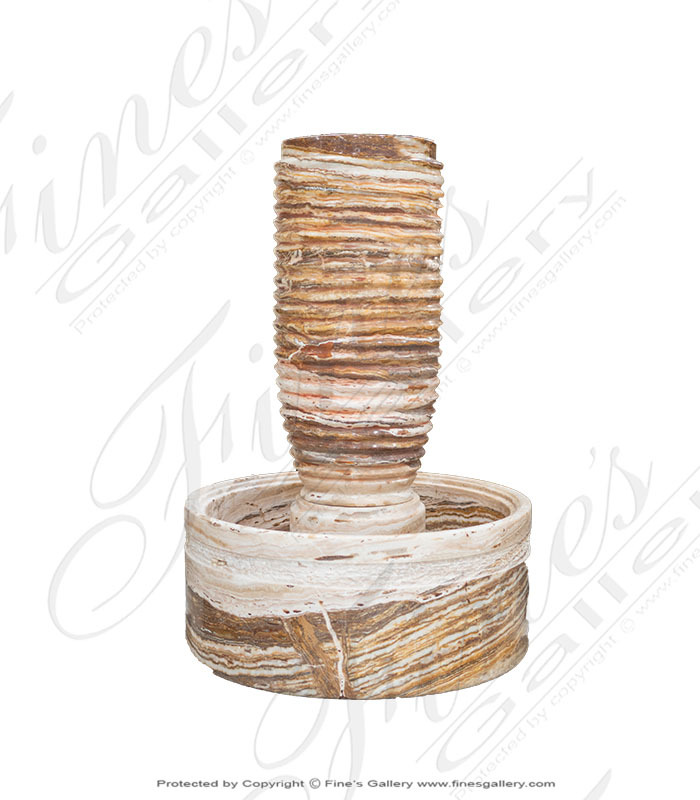 Tra Onyx Pillar Fountain featuring one of the most beautiful rare and exotic combinations of travertine and onyx. The optional pool basin is carved from one solid block. Water falls from each of the three pillars. A one of a kind garden fountain. 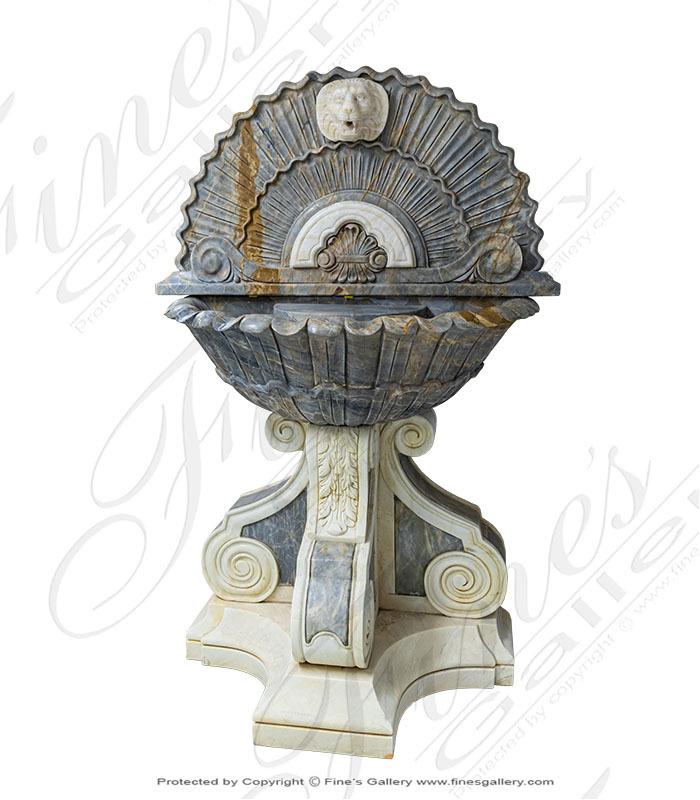 Exotic Natural Stone Garden Fountain featuring a ribbed central tier for intricate waterfall effect. The 30 inch diameter catch basin makes for a perfect snug fit into any garden, lanai, foyer or commercial setting. Simple install and low maintenance! This antique style lion head wall fountain is carved from natural solid blocks of marble and onyx. 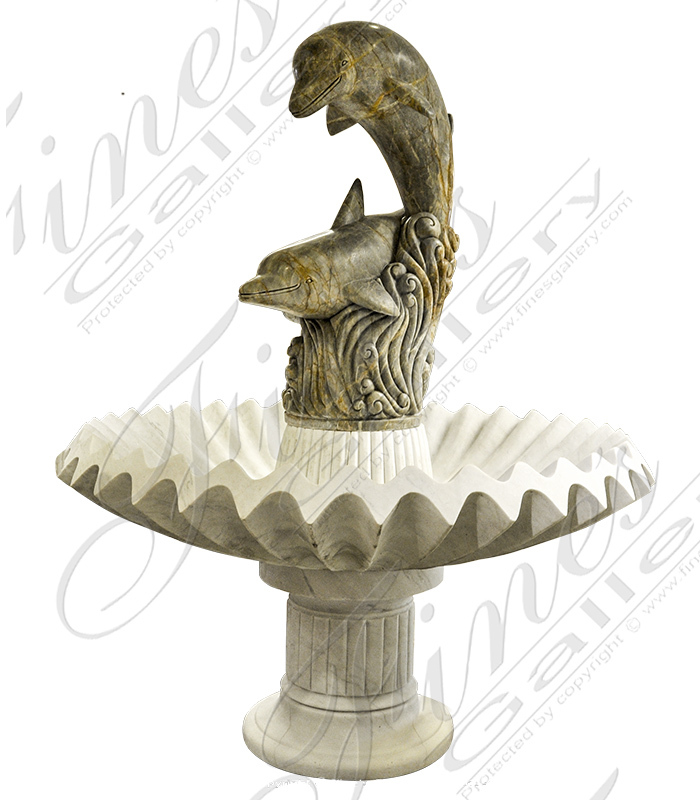 An Italian style wall fountain featuring lion head and rare exotic blue gray breccia antique marble. 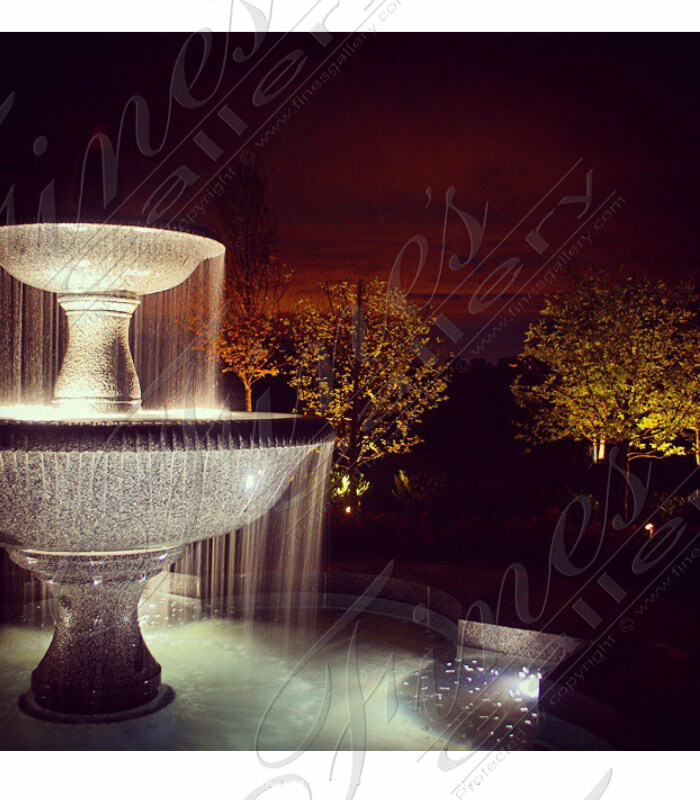 A stunning exterior wall fountain feature. 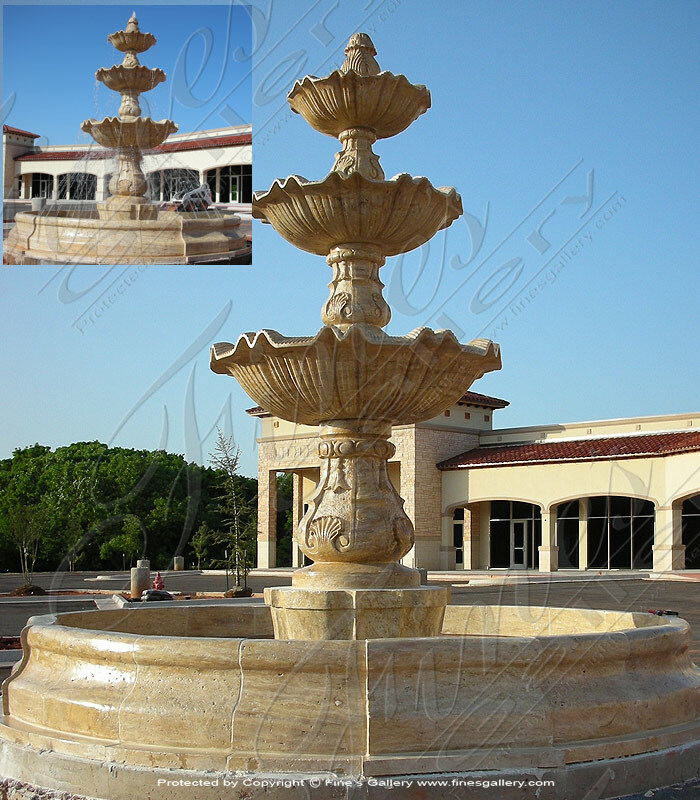 This Luxurious Granite Rains Garden Fountainis constructed of natural solid imperial granite. 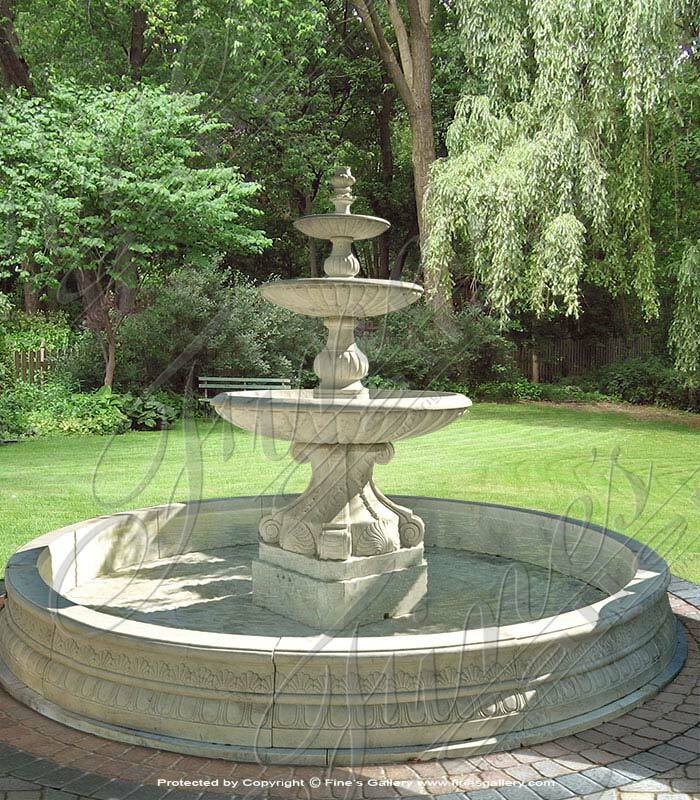 Featuring a quatrefoil shaped pool basin and a two tiered pedestal design the bowls are grooved out to create a distinct waterfall rain effect.